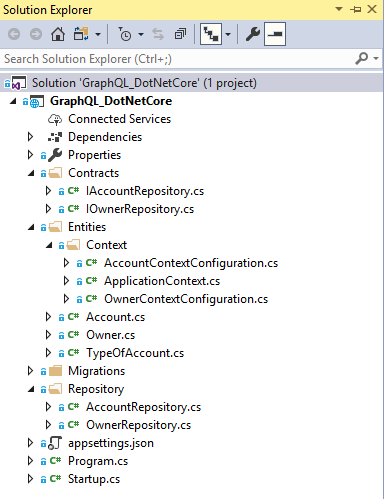 To download the source code, visit the GraphQL in ASP.NET Core Project Source Code. For the complete navigation of this tutorial visit GraphQL ASP.NET Core Tutorial. GraphQl is a query language. It executes queries by using type systems which we define for our data. GraphQL isn’t tied to any specific language or a database, just the opposite, it is adaptable to our code and our data as well. GraphQL requires fewer roundtrips to the server and back to fetch all the required data for our view or template page. With REST, we have to visit several endpoints (api/subjects, api/professors, api/students …) to get all the data we need for our page, but that’s not the case with GraphQL. With GraphQL, we create only one query which calls several resolvers (functions) on the server side and returns all the data from different resources in a single request. With REST, as our application grows, the number of endpoints grows as well, and that requires more and more time to maintain. But, with GraphQL we have only one endpoint api/graphql and that is all. With REST this is not the case. Sometimes we get more than we need and sometimes less, it depends on how actions on a certain endpoint are implemented. These are the most important differences between REST and GraphQL. Now that we know that, let’s create a basic project to demonstrate how to set up GraphQL. This repository logic has the basic setup without any additional layers. 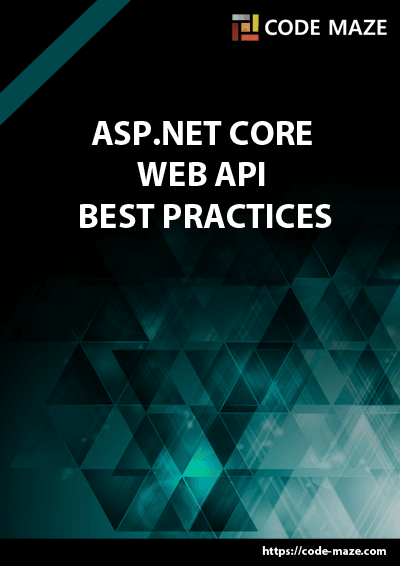 But if you want to learn more about Repository Pattern in ASP.NET Core, we have a great article for you to read ASP.NET Core Web API – Repository Pattern. So, at this point, all you have to do is to modify connection string (if you have to) in the appsettings.json file and to navigate to the Package Manager Console and run the update-database command. Once you do that, we are ready to move on. As you can see, we are using the Code-First approach in the starter project. Once we are finished with the installations, we can move on to the integration logic. This class must inherit from the Schema class which resides in the GraphQL.Types namespace. Inside the constructor, we inject the IdependencyResolver which is going to help us resolve our Query, Mutation or Subscription objects. What’s important to know is that each of the schema properties (Query, Mutation or Subscription) implements IObjectGraphType which means that the objects we are going to resolve must implement the same type as well. This also means that our GraphQL API can’t return our models directly as a result but GraphQL types which implement IObjectGraphType instead. This is the OwnerType class which we use as a replacement for the Owner model inside a GraphQL API. This class inherits from a generic ObjectGraphType<Owner> class which at some point (in the hierarchy) implements IObjectGraphType interface. With the Field method, we specify the fields which represent our properties from the Owner model class. To continue on, let’s create another folder GraphQLQueries with a class AppQuery, inside the GraphQL folder. As we can see, this class inherits from the ObjectGraphType as well, just the non-generic one. Moreover, we inject our repository object inside a constructor and create a field to return the result for the specific query. In this class, we use the generic version of the Field method which accepts some „strange“ type as a generic parameter. Well, this is the GraphQL.NET representation for the normal .NET types. So, ListGraphType is the representation of the List type, and of course, we have IntGraphType or StringGraphType, etc… For the complete list visit SchemaTypes in GraphQL .NET. The „owners“ parameter is a field name (query from the client must match this name) and the second parameter is the result itself. Well done. Let’s proceed to schema registration. In the ConfigureServices method, we register the DependencyResolver (for our queries) and the schema class as well. Furthermore, we register GraphQL with the AddGraphQL method and register all the GraphQL types (Query and Type classes) with the AddGraphTypes method. 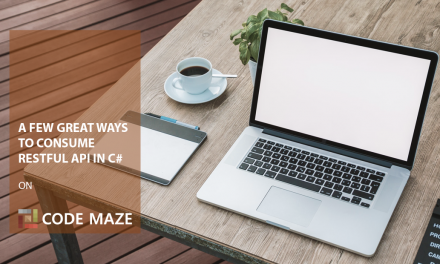 Without this method, we would have to register all the types and queries manually in our API. Finally, in the Configure method, we are adding our schema to the request’s pipeline as well as the Playground UI tool which we are just about to use. Excellent, we see that everything is working just as it supposed to. As soon as we send our query, with the name „owners“ (which must match the query name we created in the AppQuery file), we get the required result. Our integration is complete. 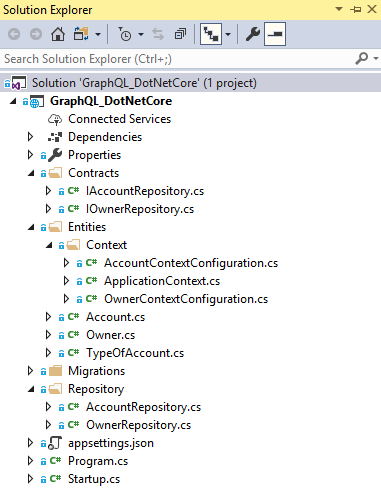 We have seen how in few easy steps we can integrate GrapnQL in ASP.NET Core and how to retrieve required results with the query. 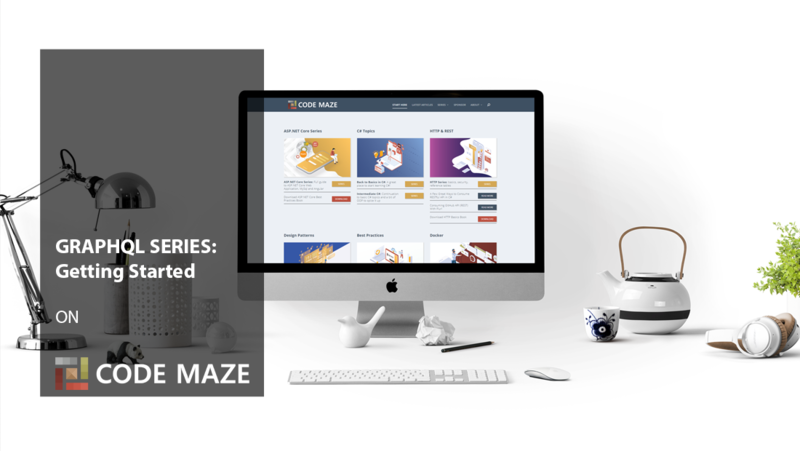 In the next article, we are going to learn about advanced GraphQL Queries, how to handle errors during queries and how to use data loader to cache our results.